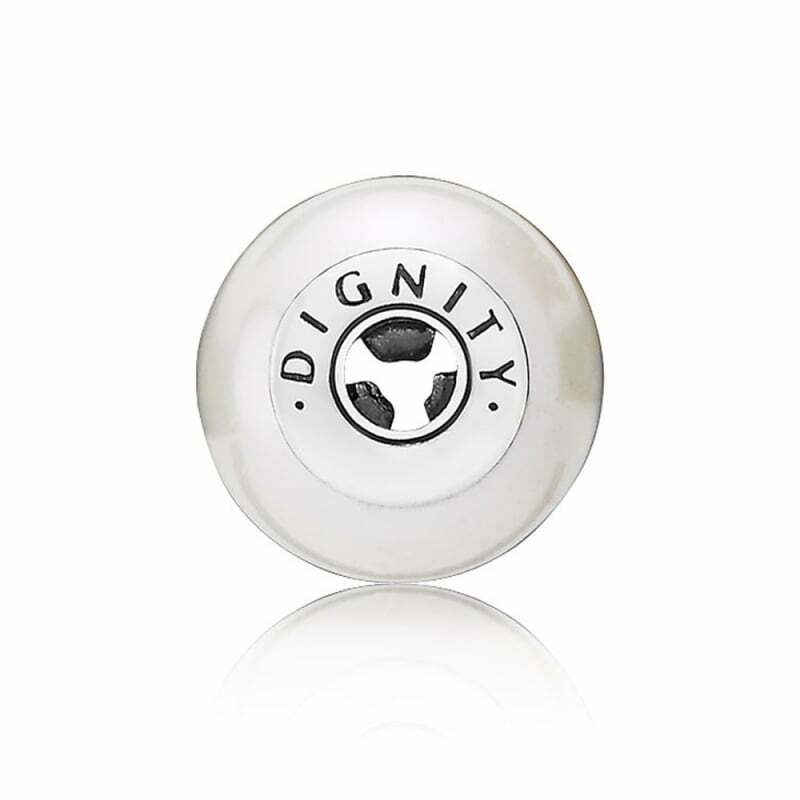 PANDORA ESSENCE Collection Dignity Charm. Made from sterling silver and white freshwater pearl. Please note that ESSENCE charms are only compatible with ESSENCE COLLECTION bracelets, and cannot be used on other PANDORA bracelets.